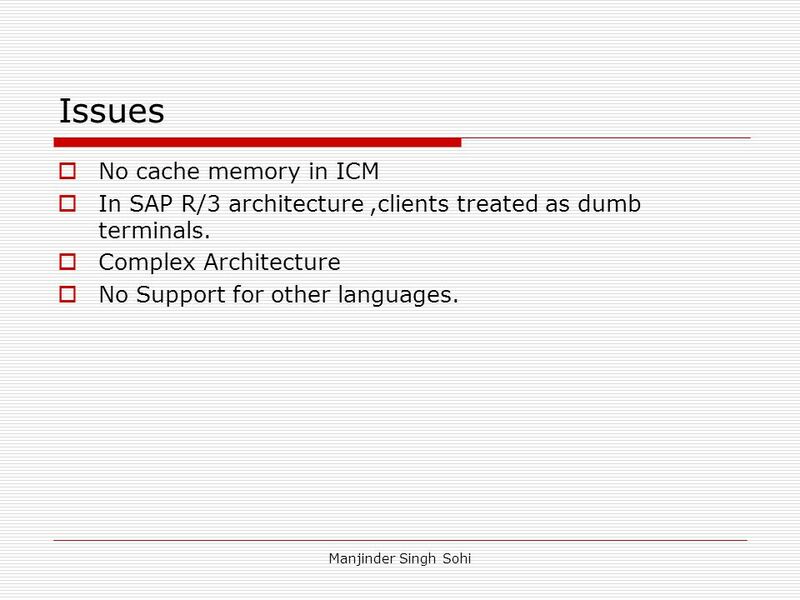 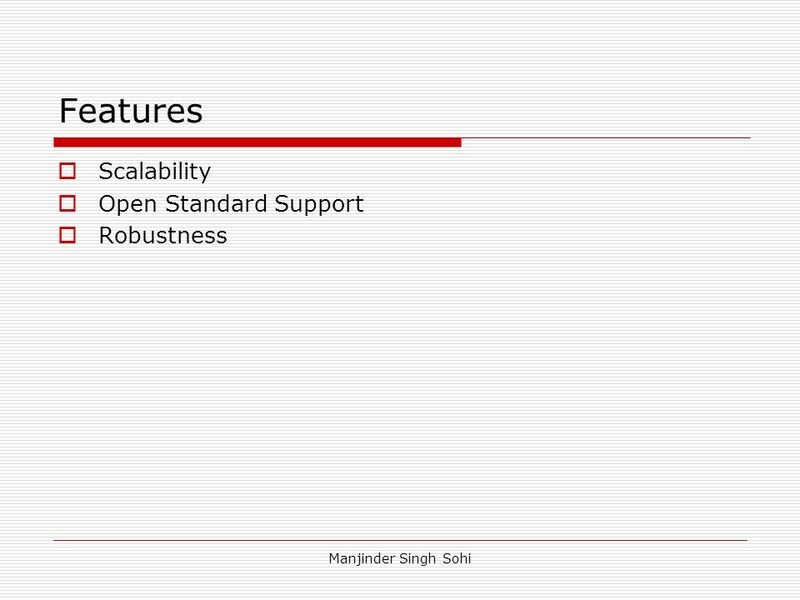 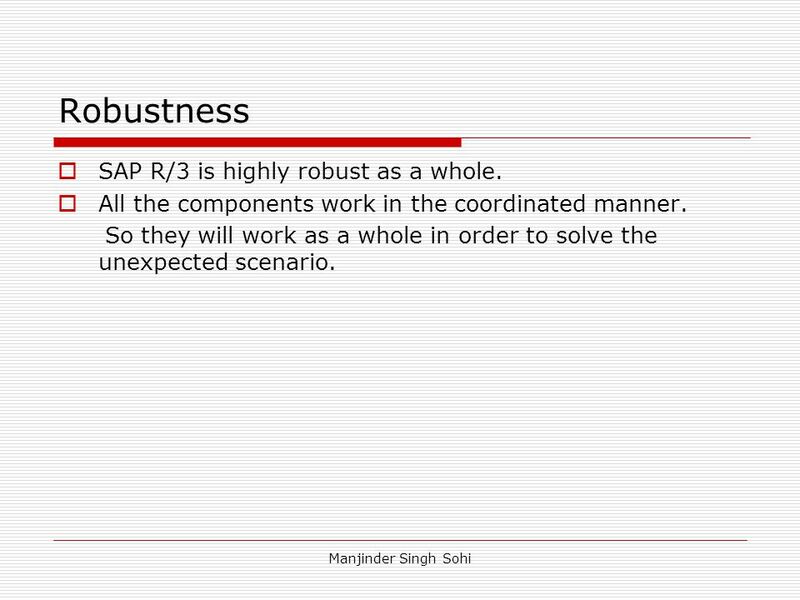 10 Robustness SAP R/3 is highly robust as a whole. 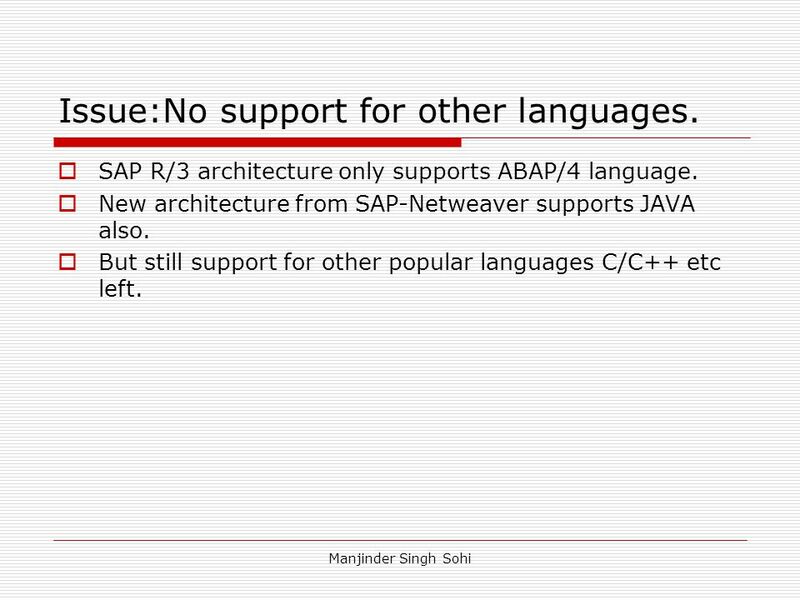 15 Issue:No support for other languages. 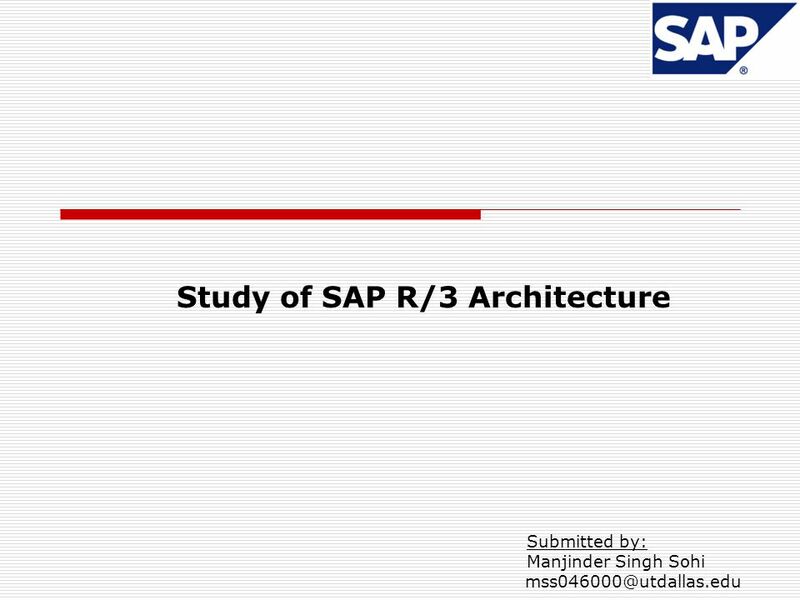 Download ppt "Study of SAP R/3 Architecture"
Enterprise Wide Information Systems SAP R/3 Overview & Basis Technology 1. 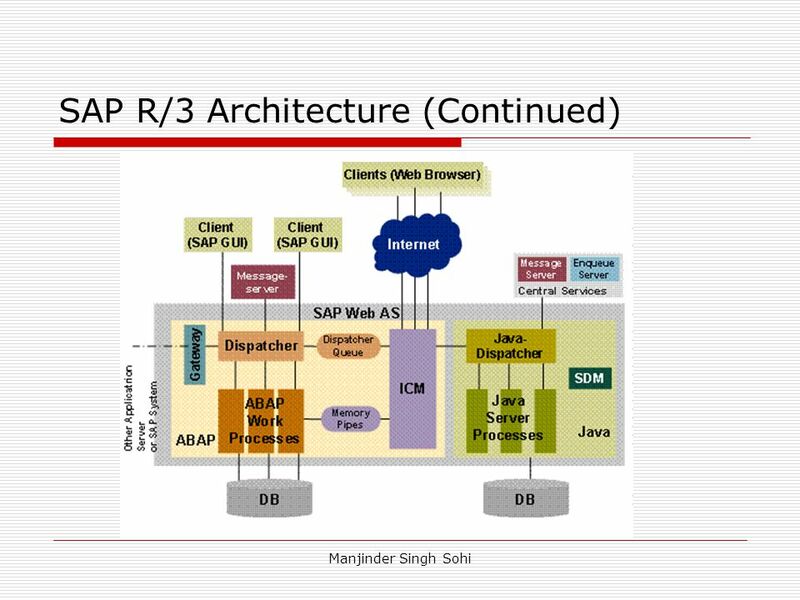 Enterprise Web Architecture and Performance Shennon Shen & Scott Carey --- Plumtree Software Inc.
SAP Overview SAP Solutions. 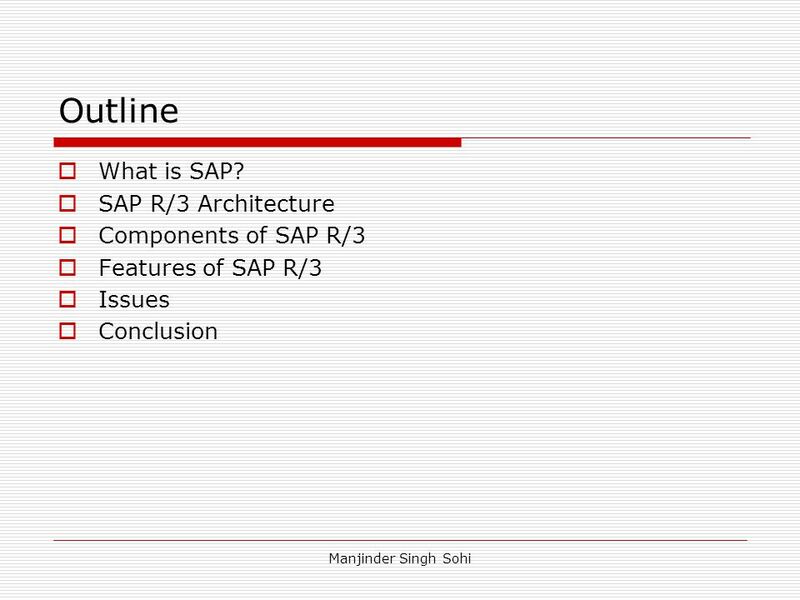 2 Agenda for the overview Introduction to the SAP R/3 system SAP system’s functionality SAP implemenation methodology mySAP.com. 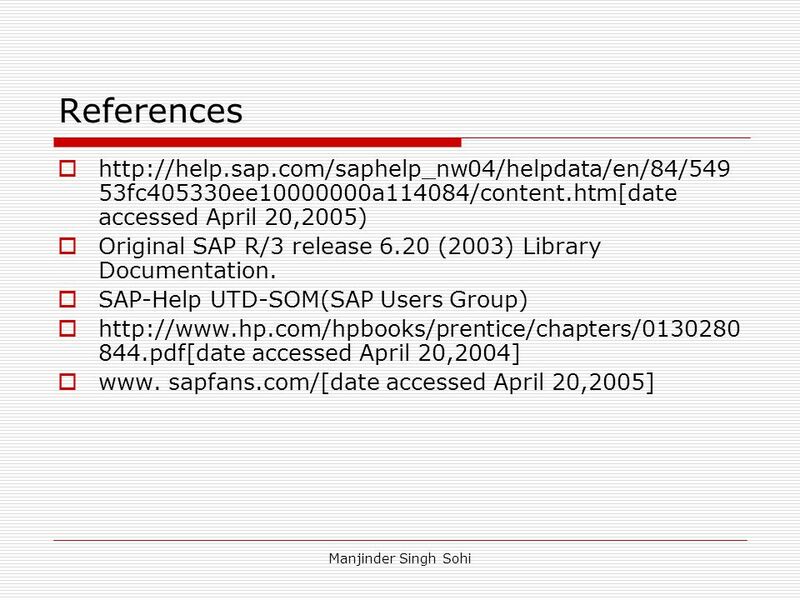 IT Project Management, Third Edition Appendix A1 Appendix A: Guide to Using Microsoft Project 2002. 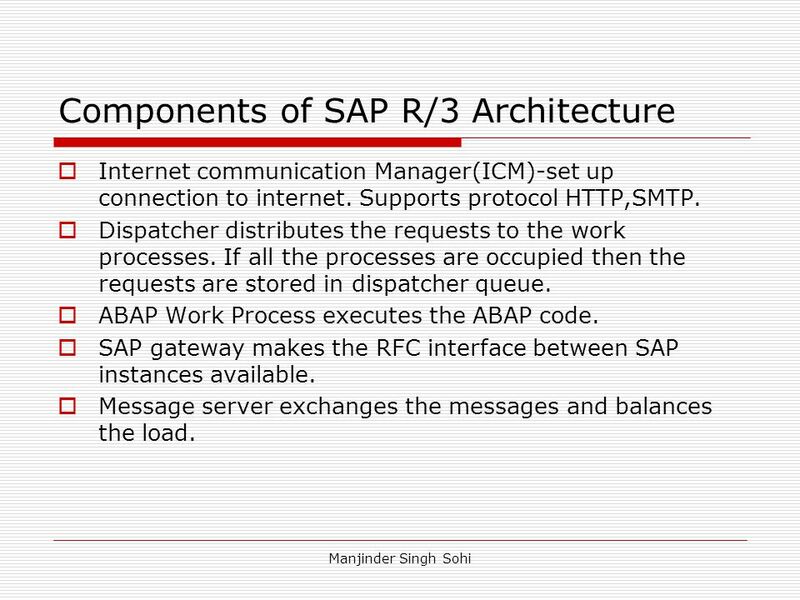 Netscape Application Server Application Server for Business-Critical Applications Presented By : Khalid Ahmed DS Fall 98. 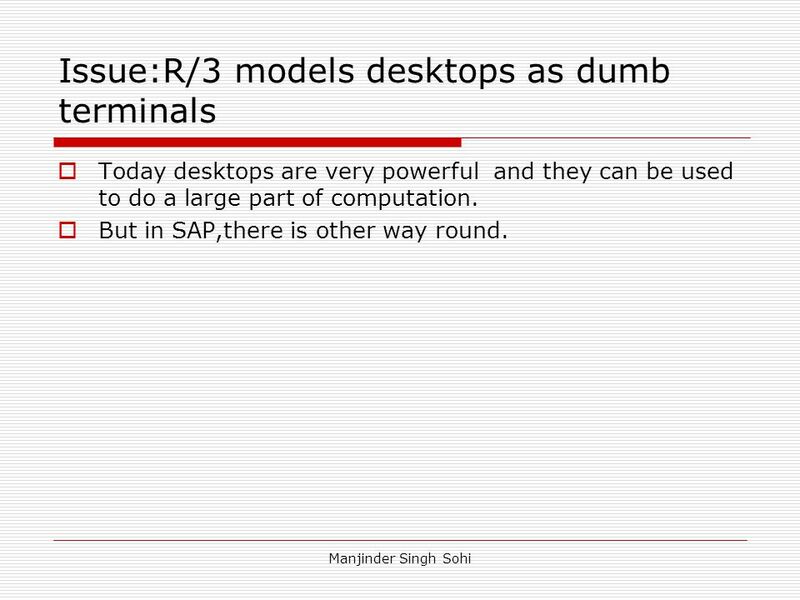 A SOLUTION: 2X REMOTE APPLICATION SERVER. 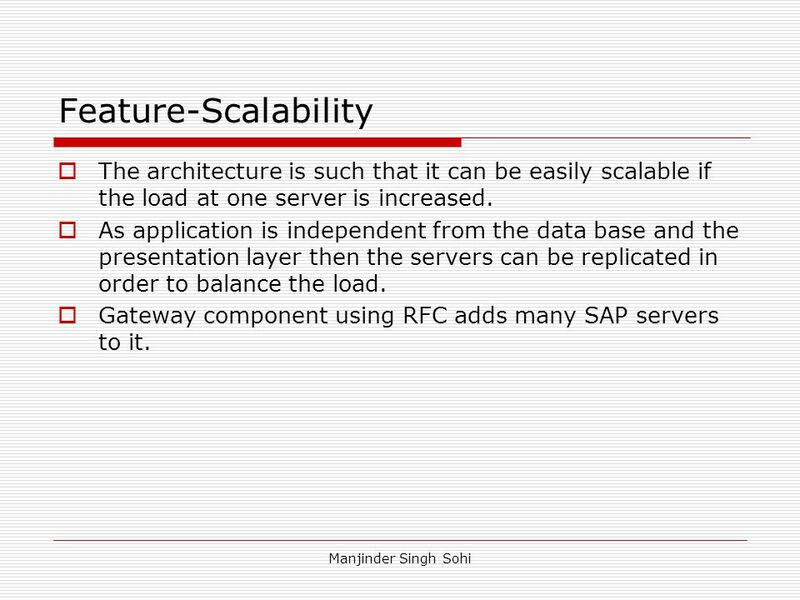 2X REMOTE APPLICATION SERVER. 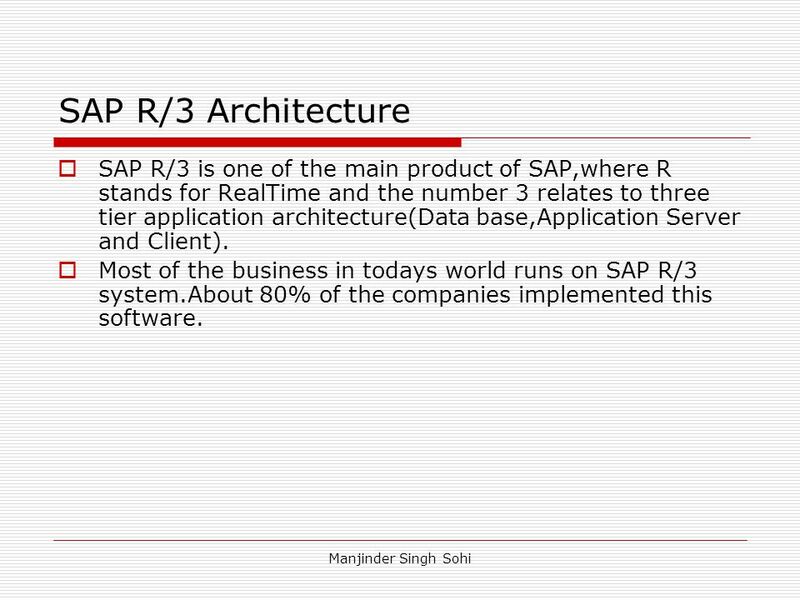 University of Southern California Enterprise Wide Information Systems SAP R/3 Overview & Basis Technology Instructor: Richard W. Vawter. 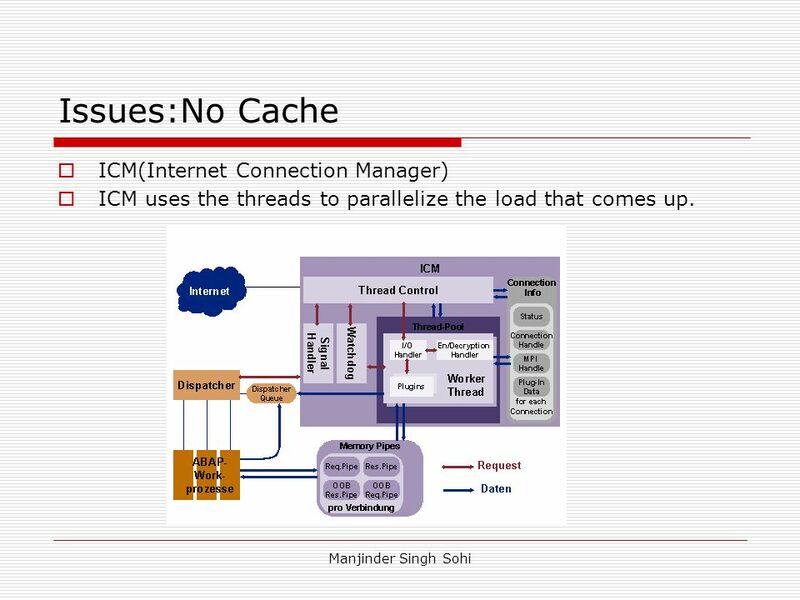 7/14/2000TWIST 2000 ClearNet: Centralized Control in a Decentralized Architecture for Online Financial Services Nasser Barghouti ONEWORLD Software Solutions. 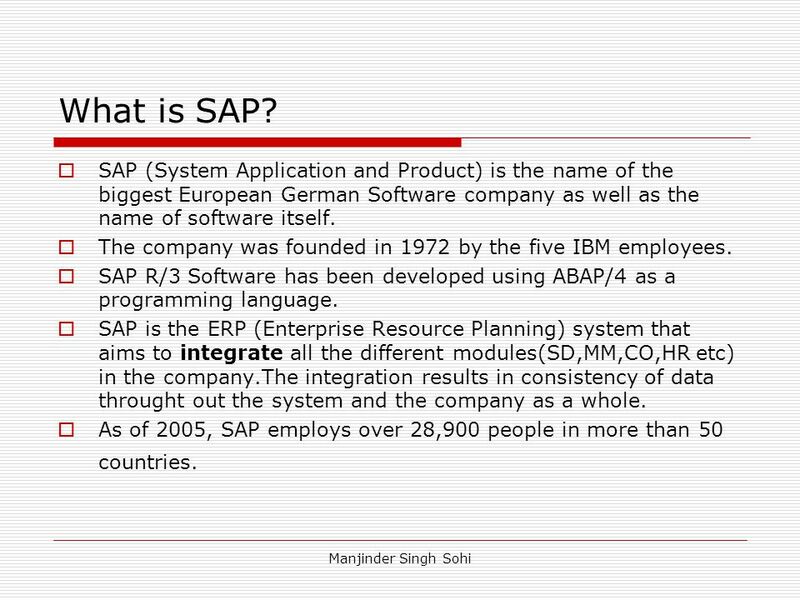 SAP America, 2002 USD/Chico Plug & Play Grant 1 The Basics of SAP’s Integrated Business Solution. 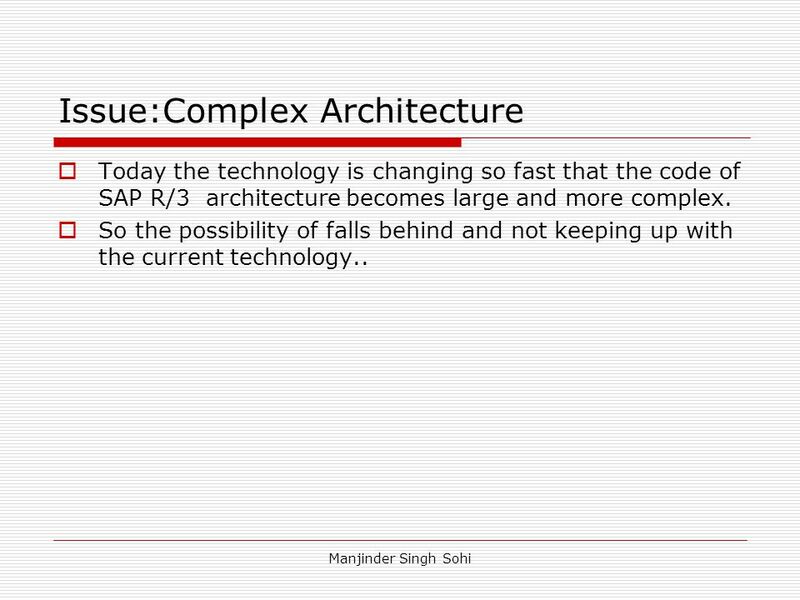 SAP America, 2003 The University of South Dakota Plug and Play Introductory Course California State University, Chico 1 The Basics of SAP’s Integrated.